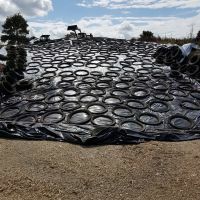 Covering your stack made easy! 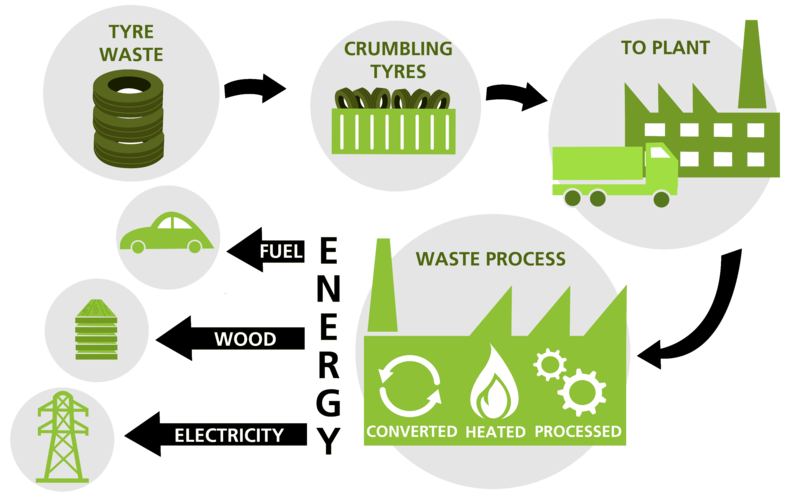 Tyre Walls are created from cut of truck tyre side walls. 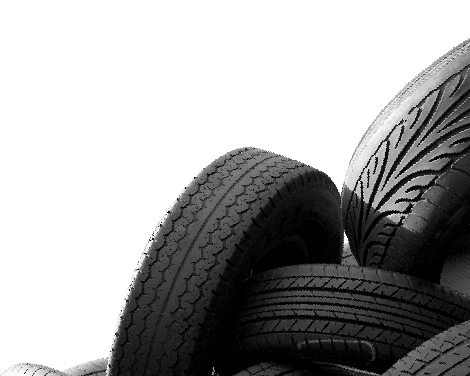 Each Tyre Wall weighing around 10kg and equaling the equivalent space to 3 tyres on your stack. 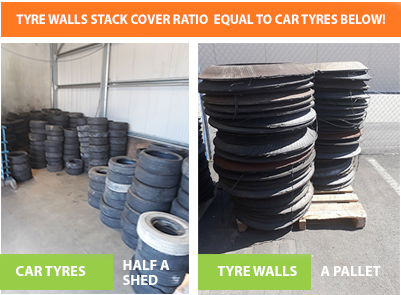 Tyre Wallls are fast becoming a preferred method of stacking tyres. 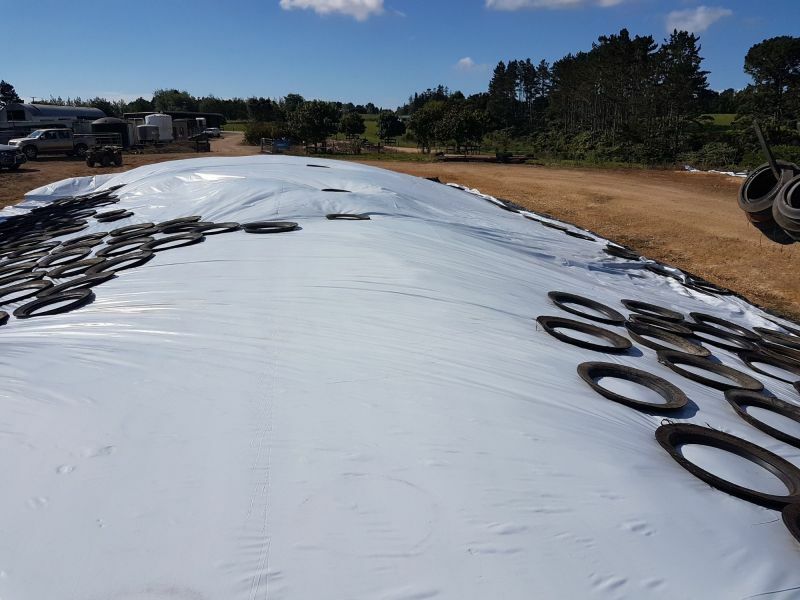 No longer having to deal with wet tyres, mosquitoes and other insects when covering your stack. 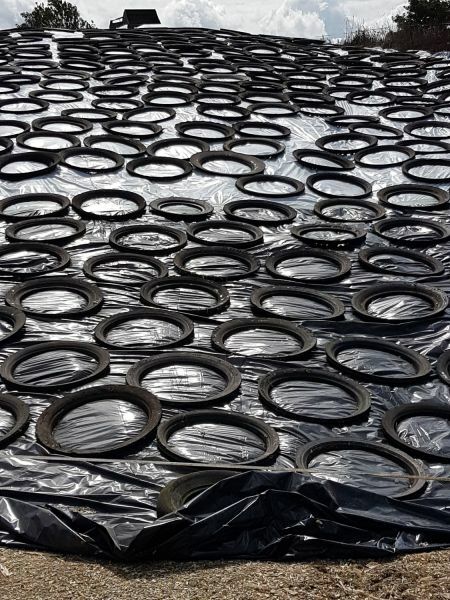 Tyre Walls are very easy to store and distribute, saving you time when covering your stacks. 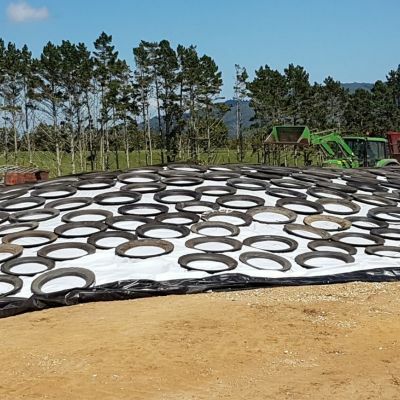 Contact us to disucss how Tyre Walls would benefit your farm. 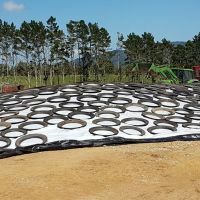 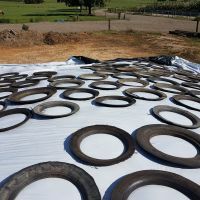 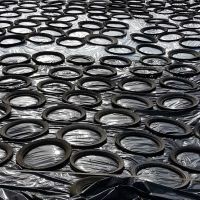 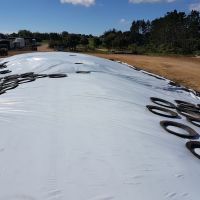 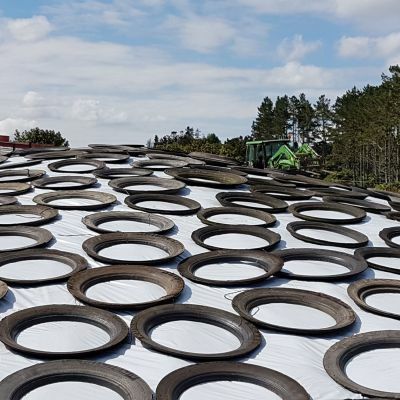 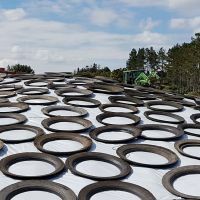 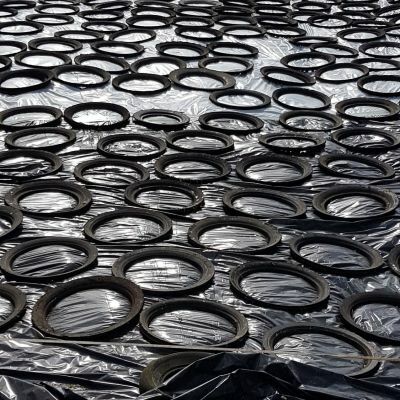 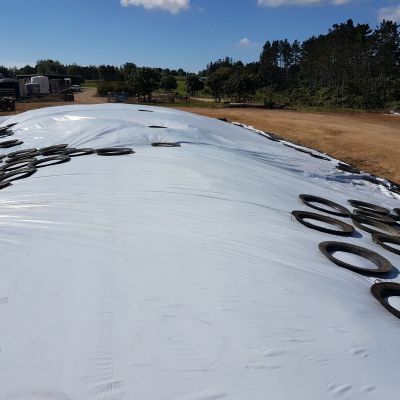 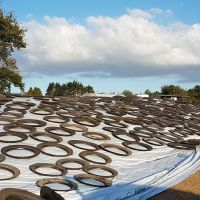 View the video & testimonial below to see how some local farms are already using and benfiting from the Tyre Wall option. 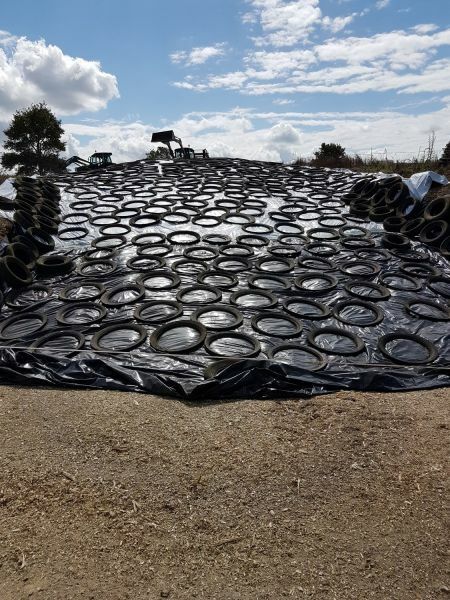 “We have used tyre walls for over 20 yrs and the ones we have look just as good now as when we first got them. 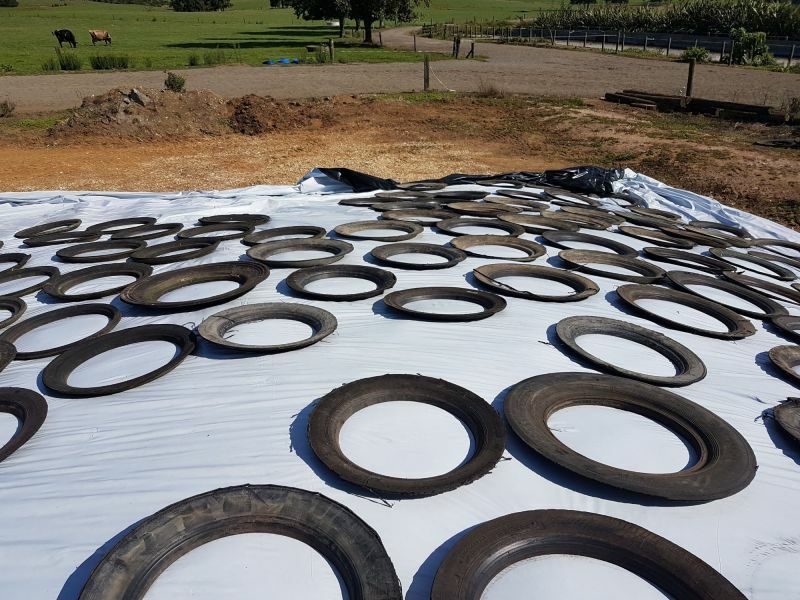 Having used tyre walls for years we were searching for more. 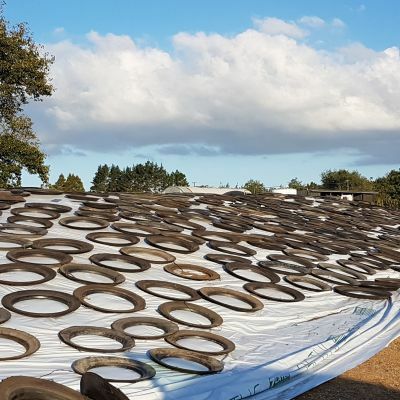 Tyre recyclers produced over 2000 for us and we transported them 5 hrs north to our farms. 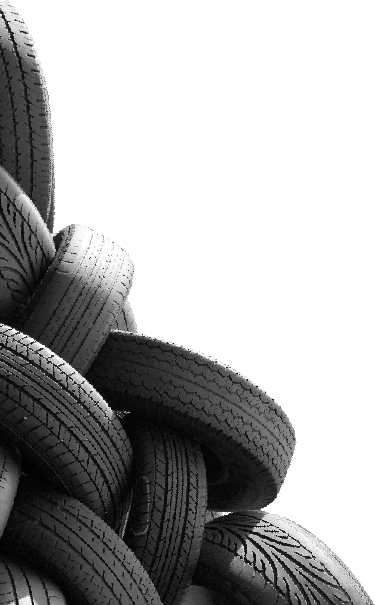 If we had to use normal tyres, we probably wouldn’t use as much supplement as we do. 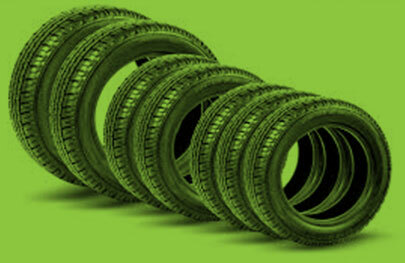 They are convenient, fast and easy to handle. 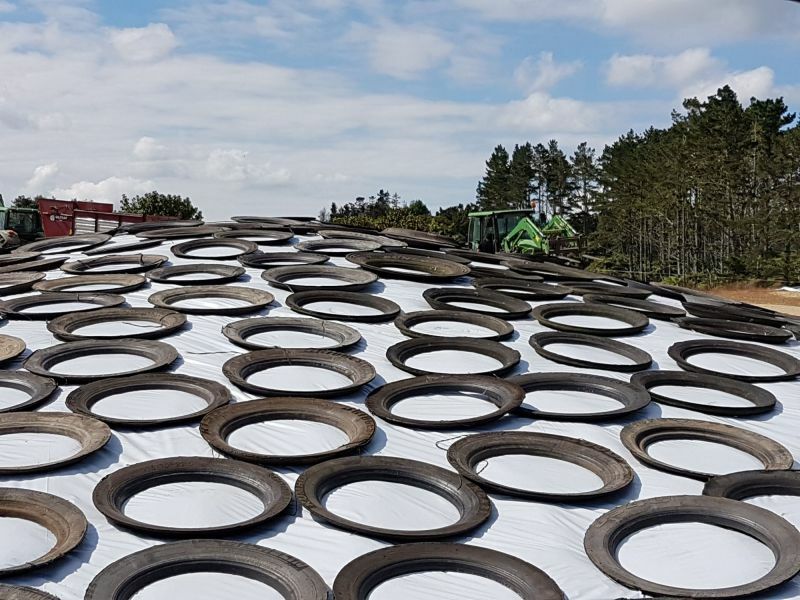 They can be moved with a tractor and pallet fork when covering the stack to make shifting them easier. 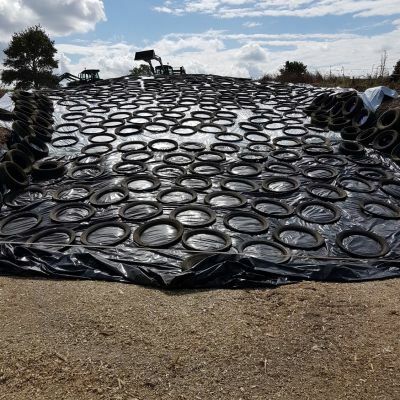 We use a digger to reach the middle of the stack making covering extremely quick and easy. 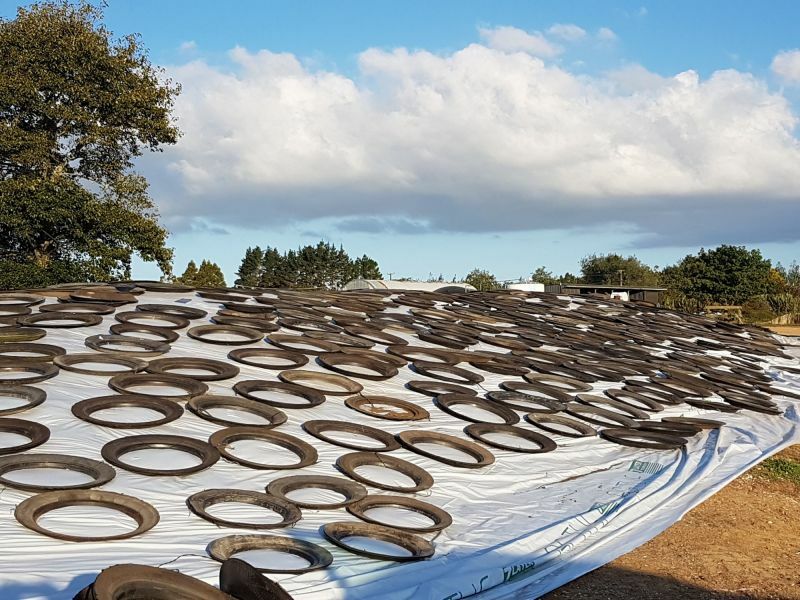 We can cover our stacks in about 90mins from the time the tractors leave to completion.Stacking the tyre walls after use is easy. 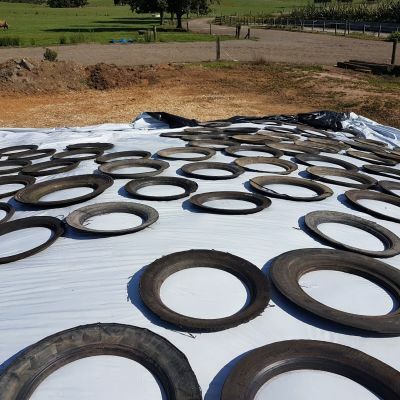 No water or insects collect during the off season – a real bonus.